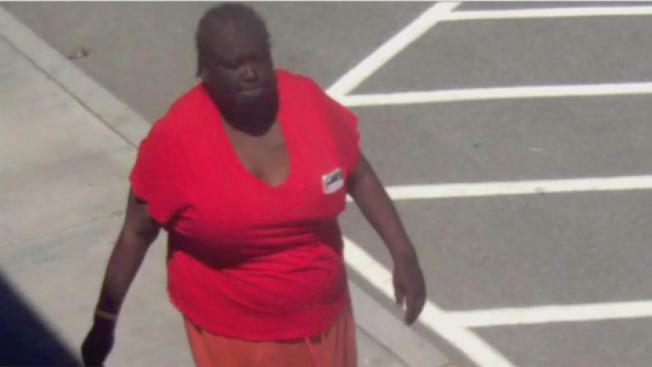 Police are searching for a woman posing as a substitute teacher and stealing purses and other items from schools in the South Bay. Damian Trujillo reports. Police are searching for a woman posing as a substitute teacher and stealing purses and other items from schools in the South Bay. The thefts have occurred in at least two schools, police said, adding the suspect may have been arrested earlier this year for similar crimes. In the Santa Clara Unified School District, they call her the Birkenstock bandit. Police said earlier this year a woman was arrested for posing as a substitute teacher, walking into schools in Santa Clara and stealing various items. Now police in San Jose are trying to figure out if surveillance images show the same suspect committing the same crime recently at Montgomery Elementary. "We had a woman show up at Montgomery School and she was claiming to be a sub, and she sat in the office for a short time," Evergreen School District spokesman Charles Crosby said. The district said the woman stole a staff member's purse with cell phone and credit cards inside. The school called police, who labeled the alleged crime a petty theft. "It's unfortunate, but you look at how much more it could have been," Crosby said. "And we're glad protocols are in place to make sure it was limited to a minor theft." A similar incident also recently occur ed at Dorsa Elementary in the Alum Rock School District. Teachers said images of the so-called Birkenstock bandit appear to fit the description of the suspect in the new thefts. Teachers at Dorsa Elementary said they did figure out something was wrong and escorted the woman off campus. The district said the suspect did not take anything, but sources tell NBC Bay Area the woman did manage to get a hold of a set of school keys. Parents question why it appears to be so easy for an unknown woman to get onto at least four school campuses. The district said they do have protocols in place. Specifically, all staff are told that anytime anyone shows up on campus who is not a known staff member, they are escorted to the office immediately. It is unclear if the schools are re-examining the policy in the wake of these incidents.